As a Kansan, I feel like I should be obligated to hate this film. The association is nearly the only thing other people seem to know about my state when I’m in other places. So it was kind of a relief to watch it and see that it holds up. Okay, so usually the term “all” in that question refers to the prospective audience that already loves a film and is reading this column because it is interesting to them. But here, “all” refers to “If you have lived in America and owned a television in the last fifty years”. 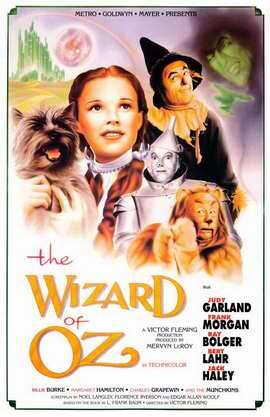 There may not be another film that is so universally known as The Wizard of Oz. And not just in a sense of general pop culture awareness either. The characters, songs, and story beats are practically American Gospel at this point. The Wizard of Oz certainly has and will probably never lose its place in cinema history, but is it beloved? I mean, it’s generally agreed upon that it’s a good movie at the least and probably a great one. But do we love it? Is it kind of overrated just because of nostalgia? Or is there a reason it has stuck with us for so long and been referenced and reimagined so many times? After Disney changed the game forever by bringing the fairy tale Snow White and the Seven Dwarves to theaters in stunning color animation, MGM decided to launch their own expensive fantasy epic. The result is a film of equal and probably greater renown, although it was not a huge hit immediately in spite of the critical acclaim. Theatrical rereleases and a strong presence on television eventually helped the film reach pop cultural ubiquity. It’s transition from sepia-toned Kansas to hyper colorful Munchkinland was perfect for TVs just then presenting technicolor content. The film is an impressive group of character actors working on elaborate sets presented in utterly gorgeous color. The film is still a visual treat even if several effects don’t work perfectly. There’s an artiface to everything that I personally find charming in the same way as King Kong or Frankenstein. The film is also helped along by a great score (the witch’s theme being especially memorable) and a collection of strong songs. And despite the amount of things that happen, the film’s structure and pacing rarely ever falter. All of these contribute to a solid, enjoyable movie. 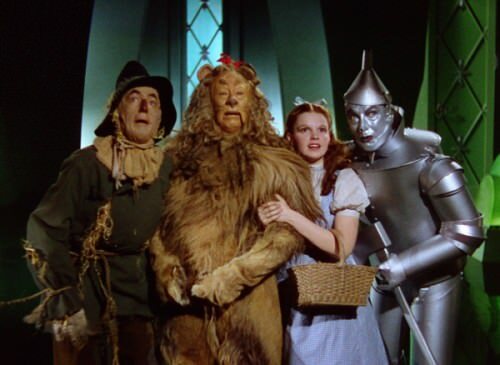 But what makes The Wizard of Oz a great movie is the characters. Sixteen year old Judy Garland is simply amazing here, selling the wonder of her situation while bringing emotional sincerity to the role. Strong childhood performances are not common, and deserve to be praised; Judy Garland had a ton of weight on her shoulders here and not only pulled it off, but helped make Dorothy into an icon. The Scarecrow, Tin Man and Lion are all fun and distinct and have their own mini-stories without detracting from Dorothy’s. 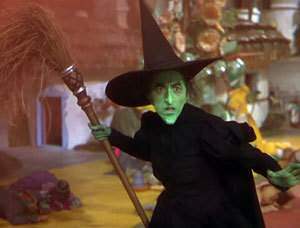 What really struck me this viewing is Margaret Hamilton as the Wicked Witch of the West. It’s hard to think of a more iconic female villain; Margaret’s performance here has had a massive influence on villains in everything from Disney films to DC Comics. Even in the campiness of the film, she is menacing and scary to kids and wildly entertaining as adults. It’s not hard to see why she captured the imagination of the author of Wicked or that the book transitioned to a blockbuster stage play. She is easily one of the greatest bad guys in film history, and perhaps the best encapsulation of this film’s far reaching influence. 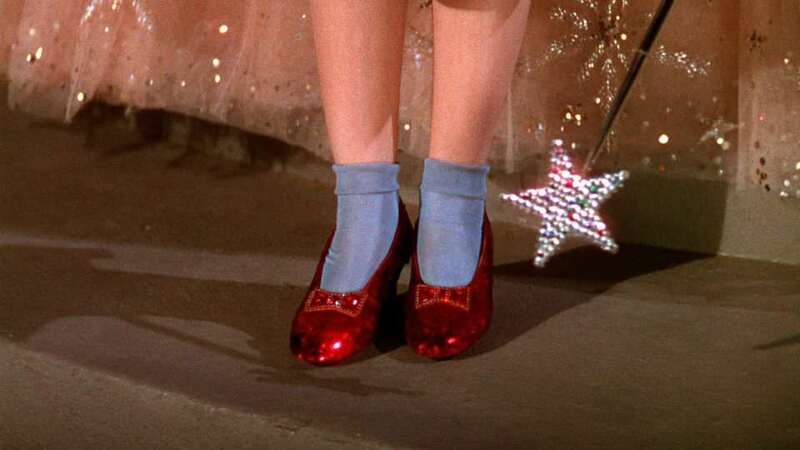 The Wizard of Oz is certainly not a film for everyone, but I defy anyone to point out a meaningful flaw that doesn’t boil down to different standards in effects or personal preference. Unlike other game changing films of the time, this film neither feels dated because it has been done better since (Snow White) or because of unfortunate connotations (Gone With The Wind). It is a family movie with timeless values that transcend any meaningful barriers, which I think is why it endures today. Sure, being the source material for Wicked doesn’t hurt either, but the play feels like a companion piece and not a modern replacement. 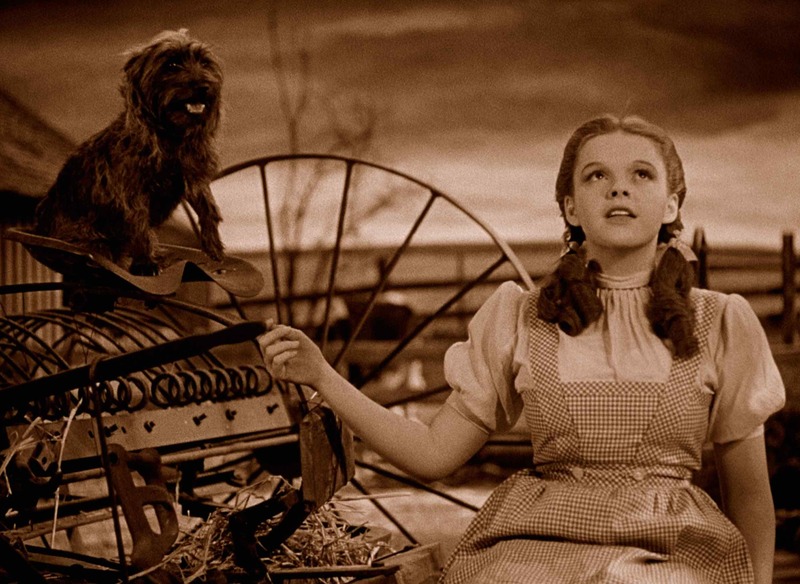 The Wizard of Oz is a one of a kind film that has never been truly replaced or replicated. Are some aspects dated? Of course. Some visual effects weren’t even working for critics in 1939. But the film is so charmingly simple, lovingly presented and scene for scene may be the most well-known film I’ve reviewed so far. There isn’t an aspect of this film that hasn’t cemented itself in the cultural canon. And in my opinion, it deserves its place in film history. Films like this are why we watch movies in the first place. This is the kind of movie that speaks to our imagination and pulls us into its world. 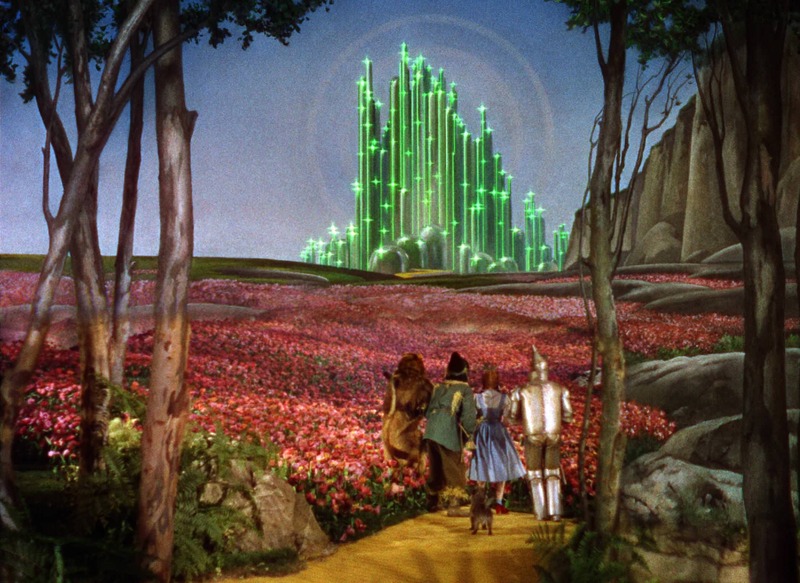 The transition from sepia-toned Kansas to the bright and colorful Munchkin Land is perfect as a metaphor for how films transport us and symbolic of the shift from one era of film to another. It hasn’t faded away for almost eighty years, and I feel like it will probably still be watched in another eighty. I log reviews for every film I see, when I see them. You can see my main page here. Recent reviews include 20th Century Women, Paterson and War for the Planet of the Apes.